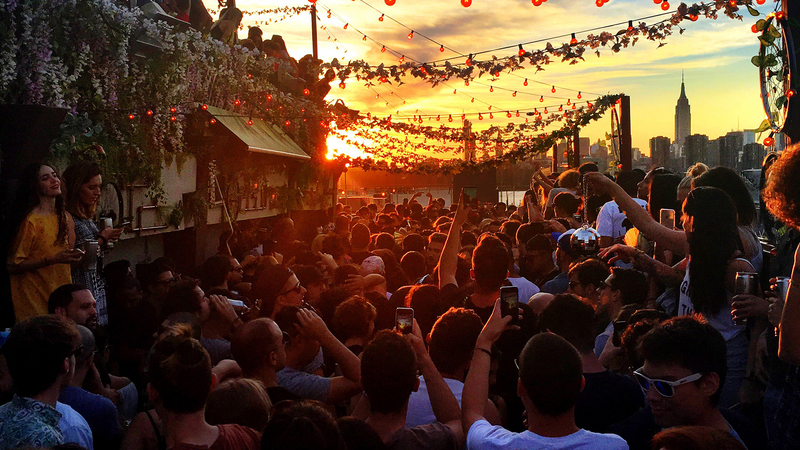 The owners of the popular Brooklyn venue, Output, have just shared some very exciting news. Output presents “The Enchanted Forest”, a summer-long music showcase featuring the hottest DJs, bands, and collectives. The Roof will host music each weekend, pre-designating Friday, Saturday, and Sunday for certain genres. Friday nights at The Roof will be known as “Friday Night Live”: a collection of different bands and electronic artists, like Penguin Prison and Bedouin. On Saturdays and Sundays, the lineup will feature predominantly DJs from around the globe, including European DJ Cassy and New York's own, Eli Escobar. According to organizers, there will also be a handful of rad weekday events. Tuesday nights will be home to "Anti-Social on The Roof", highlighting emerging local DJ talent. On Wednesday nights, The Roof will feature the "Most Below The Surface" showcase, including an open to close set by house music veteran The Scumfrog, Treasure Fingers, The Lean, and more. The Roof festivities officially kick off Friday, May 12, with Roy Ayers, Amp Fiddler, and Monk-One. Aussie DJ Thomas Jack will keep the party going on Saturday, May 13, followed by "Resolute on The Roof" featuring Dyed Soundorom (and a collection of DJs and electronic musicians) on Sunday, May 14. If opening weekend is any indication of how sweet summer nights at Output will be, you won’t want to miss out. Not only will there be an incredible array of artists all summer long–there will also be delicious Southern food, courtesy of vendor Pretty Southern and Chef Sam Talbot. Let’s just say, there will something for everyone in “The Enchanted Forest” this summer. You can find the entire schedule for The Roof here (and below), along with ticket info and more. Don't forget to track the artists on Bandsintown, so you never miss another show!